Funeral museums factor among the more unusual attractions to tick off your bucket list. Yet with a focus on celebrating the ways people around the world mourn and say goodbye to loved ones, there can be an awful lot to see and talk about. Not entirely focused on life’s final journey, many funeral museums explore how by embracing a more matter-of-fact approach to our own mortality, we may gain a greater understanding of the meaning of life. As the tombstone-shaped fridge magnets in the gift shop at the family-friendly Museum of Funeral History, Texas, remind visitors – any day above ground is a good one. 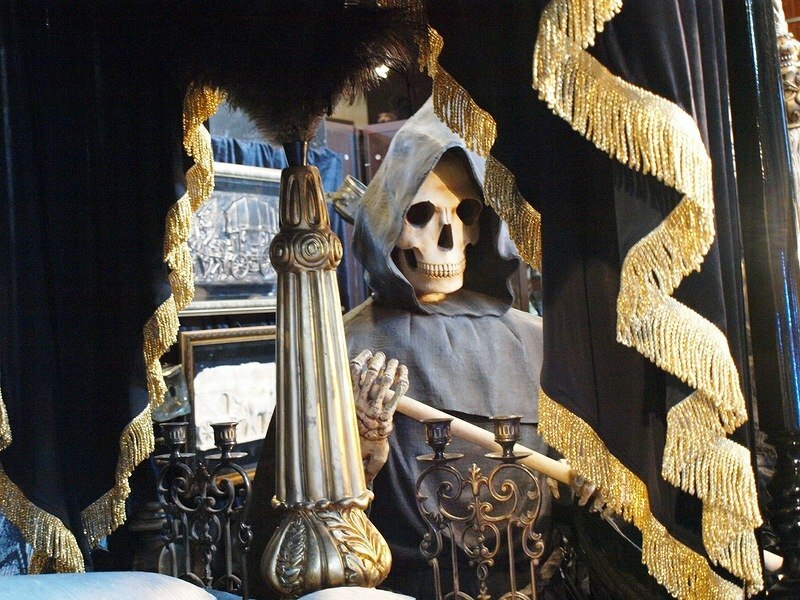 Here are 11 amazing funeral museums around the world that will intrigue you. Located beneath the chapel of rest in Vienna’s spectacular Central Cemetery, the city’s Undertaker’s Museum promises to “thrill” visitors with its collection and exhibitions – which chart a funeral history dating back hundreds of years. Exhibits – and there are hundreds – include a 19th century rescue alarm clock to insure against burial alive, a re-usable “community coffin” and horse-drawn funeral wagon, once used to convey the victims of epidemics to their funerals. This funeral museum reflects the 19th century glory days of the Schöne Leiche or beautiful corpse, when funerals and burials were as lavish and spectacular as mourners could afford. A display of death notices over the centuries explores how while the way that people express their sorrows has changed, grief has always been painful to people who are bereaved. The designers behind this contemporary funeral museum have included video and audio installations – vistors can listen to the most popular songs and music for funerals. In another interactive display, vistors can peek in on two funerals dating back to the early 20th century and compare how the funerals of the very rich and the poor contrasted. 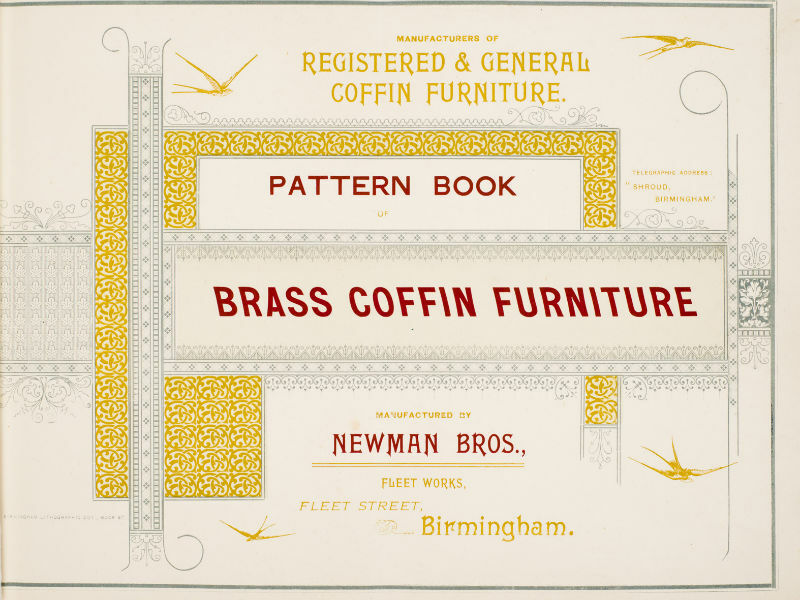 Manufacturing brass coffin plates, handles, screws and fittings from Victorian times until the late 1990s – Newman Brothers made “coffin furniture” and shrouds for the UK’s most upmarket funeral directors, playing a part in the funerals of VIPs and royalty. 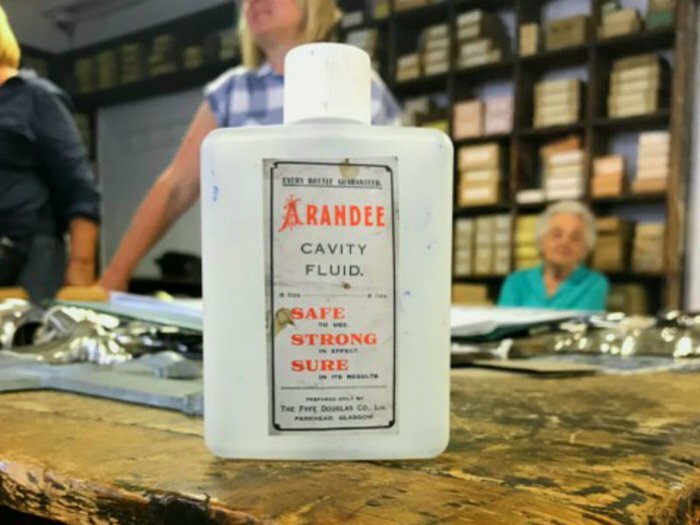 Located in the historic Jewellery Quarter of Birmingham, visitors can take a family-friendly guided tour around the factory’s workshops, which have been preserved exactly how they were left when the Coffin Works closed for business in 1999. On the top floor of the museum is the factory’s sewing room, which is full of funeral shrouds in rainbow hues. Many people today choose a special outfit to dress a loved one for their funeral, but until comparatively recently, burial gowns and robes were the traditional way to dress for your own send-off. Ornate coffin screws, made in the factory workshop, are among the quirkier souvenirs in the Coffin Museum shop. There are 14 permanent exhibitions at Houston’s huge funeral museum, with regular seasonal showcases dedicated to mortuary arts. 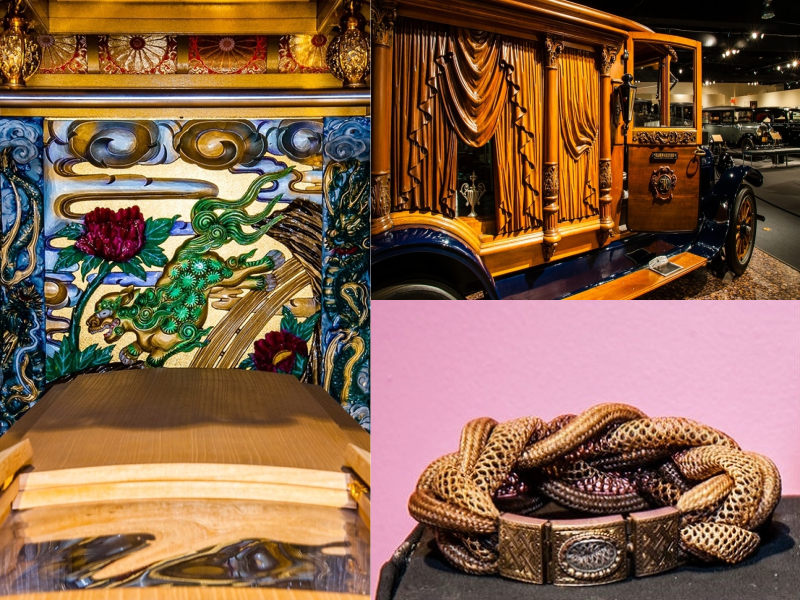 Among the hundreds of exhibits are memorabilia from the funeral ceremonies of Popes, presidents and film stars and caskets, hearses and mourning tokens from around the world, as well as vintage tools of the funeral trade. The National Funeral Museum – motto, any day above ground is a good one – also provides a lowdown on the history of cremation and of embalming, while you can take a walk through a room dating back dating back to the Victorian era of mourning and very formal funeral etiquette. Museum Tot Zover, the Dutch funeral museum and knowledge centre in Amsterdam, explores the ways we deal with death and accept our own mortality. The collection looks at traditional Dutch funerary heritage and rites, as well as how people approach death and say farewell to loved ones in contemporary Holland. Playing host to curious members of the public and with its educational outreach extending from elementary schools to research scientists, historical exhibits to see include artworks made from hair, death masks, coffins and urns. 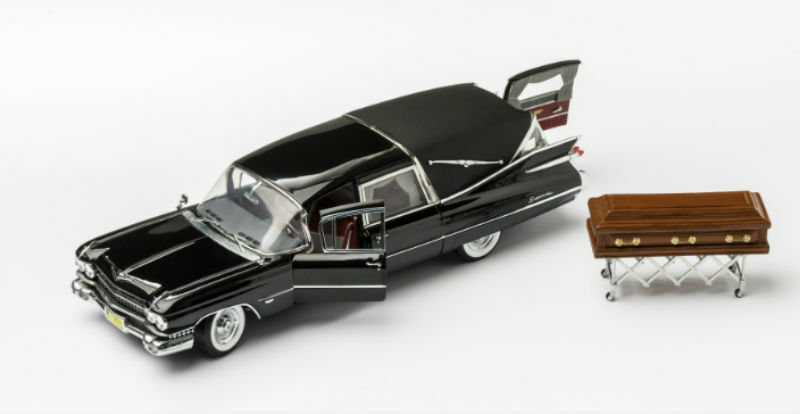 Pictured are a couple of unusual collectables on display at this funeral museum – a miniature vintage hearse and casket. 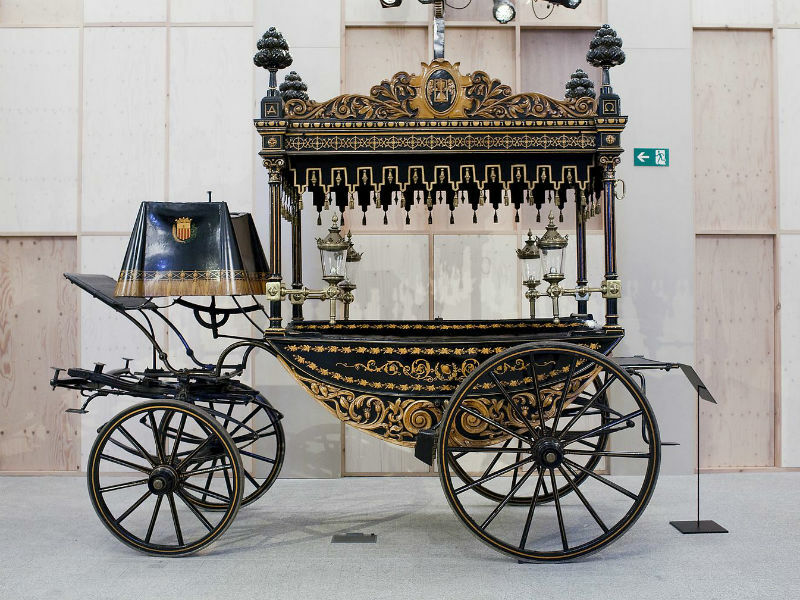 The Museu de Carrosses Fúnebres de Barcelona – Barcelona’s museum of funeral carriages – boasts a spectacular collection of ornate funeral hearses, used to convey people to their funerals until the advent of the car. Cinderella-esque, with ornate scrollwork and gilding, the funeral museum’s collection reflects on the symbolism and ritual of funeral traditions. 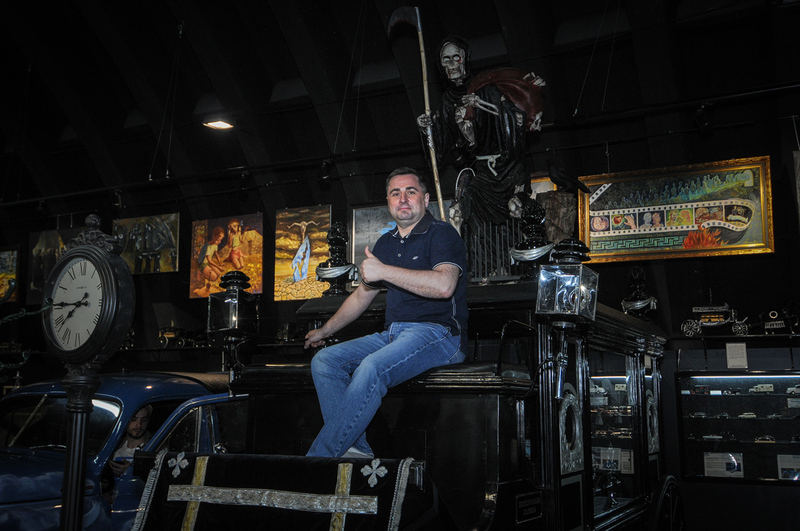 The collection includes 13 funeral carriages and six coaches used to transport mourners in the days before the motor. Immersive virtual exhibits allow visitors to accompany a mourning party as it travels through Barcelona of the 19th century. The family-friendly Museu de Carrosses Fúnebres also has an active schools education program, which explores how death is a natural life transition. It has cultural links to Barcelona’s cemetery of the hill – Cementiri de Montjuïc – a spectacular city of the dead, with beautiful examples of funerary architecture and sculpture dating back to the 19th century. Discover a collection of more than 200 funerary artefacts at the headquarters of FA Albin & Sons, a historic London funeral home, located in Bermondsey. Visits to the mini-museum can be arranged by appointment with Albins, whose family history in the funeral profession dates back to the 1790s. Opened by Princess Anne in 2009, among this funeral museum’s artefacts are detailed records of how funerals were sometimes ‘crowd-funded’ in the 1930s and 1940s. Vintage subscription sheets show how people in poorer communities would club together to help other families give their loved one a decent send-off, each contributing a few pennies or shillings towards the cost of the traditional horse-drawn funeral, as a gesture of respect. Among the interesting photos on display at the museum is a fascinating example of how someone’s body would be typically laid out at home in Victorian times, with the bed, windows and even mirrrors draped in black as a symbol of deep mourning. Surprisingly though, this memento-mori dates back just a few years, with Albins drawing on its heritage to help fulfil the 19th-century style funeral wishes of a 21st century family. 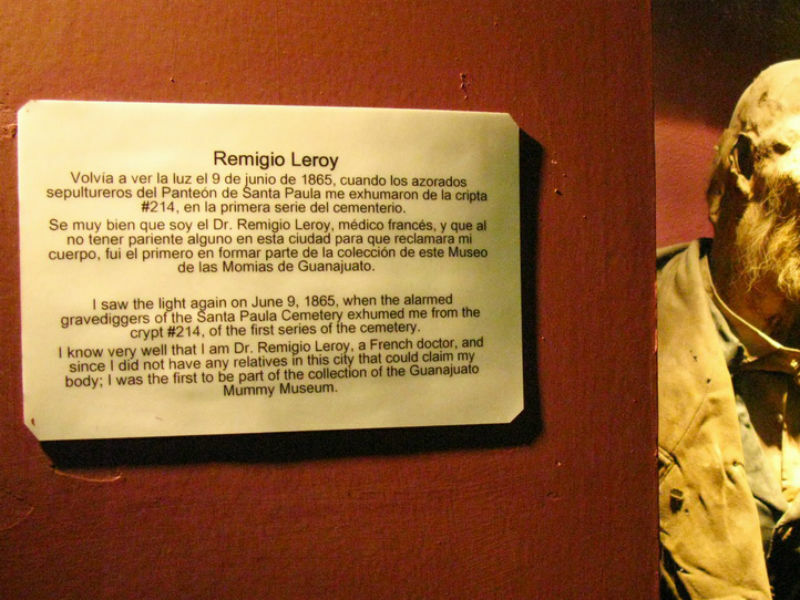 People have have mixed feelings about the Mummy Museum in Guanajuato, Mexico, because the “mummies” on display are actually people who died not so very long ago. These people were buried in graves and tombs that were rented for just a few years, after which their bodies were exhumed and stored in a charnel house. This soon began to attract curious visitors. 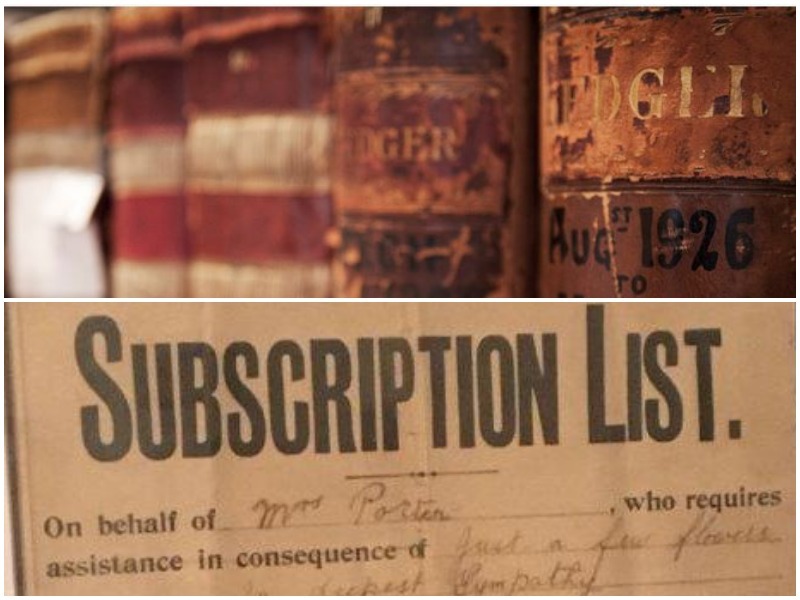 Because many of the deaths and burials were so comparatively recent, death records enable the museum to relate some of the life – and death– stories of the people whose bodies are now on display. Many visitors are alarmed by the facial expressions of people who look like they were in pain or suffering. In fact, this is due to the natural processes that occur when the body begins to decompose. Some people are shocked by the sight – or idea – of this museum of death’s morbid exhibits, but the local officials say that the museum reflects a greater acceptance of death in Mexican tradition. Russia’s family-friendly Museum of World Funeral Culture in Voentorgovskaya is a spectacular odyssey around death. With exhibits from faiths and cultures around the world, it also charts the story of Russian funeral traditions, from rites dating back centuries to the funerals of the Soviet era and the modern day. Its wealth of exhibits include artefacts from the high days of Victorian mourning; memento-mori photography, coffins, tombstones, celebrity funeral tokens, death masks, burial customs, colourful religious icons, art and curiosity cabinets telling the stories of a life. Among the exhibits is the lovingly restored zinc sarcophagus of a merchant, who died in 1907 and was buried at a site that later made way for a reservoir. The airtight casket was uncovered when the waters temporarily receded. The man’s body was solemnly re-buried in a new coffin and grave, with his original coffin donated to the museum. The Museum of World Funeral Culture also explores the history and techniques behind modern cremation and embalming, as well as host death-positive cultural events with a focus on celebrating life. Its annual Night at The Museum of Death attracts 5,000 visitors, with special events including vintage mourning-couture fashion shows and the chance for visitors to try out coffins for size. The Museum für Sepulkralkultur, or, Museum for Sepulchral Culture – sepulchral refers to tombs and burial – is located in the German city of Kassel, which also puts death-related touring exhibitions on the road. 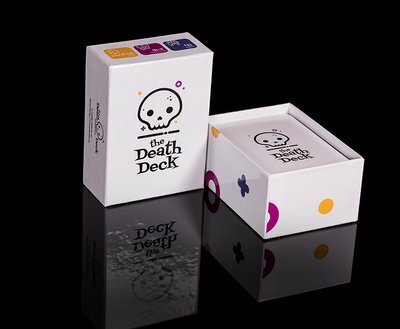 It reflects German funeral customs and traditions, from the middle ages to the present day with the aim of helping people become more accepting of death as part of life’s journey. Coffins, colourful folk art, painting and ornaments are among the intriguing artefacts that make up the museum’s permanent collection, as well as tokens of the religious funeral rites that are important to people from many cultures in modern Germany. Both the funeral museum exhibits pictured above depict the danse macabre. This allegory, or life lesson, demonstrates how death eventually comes to everyone, whatever their station in life. 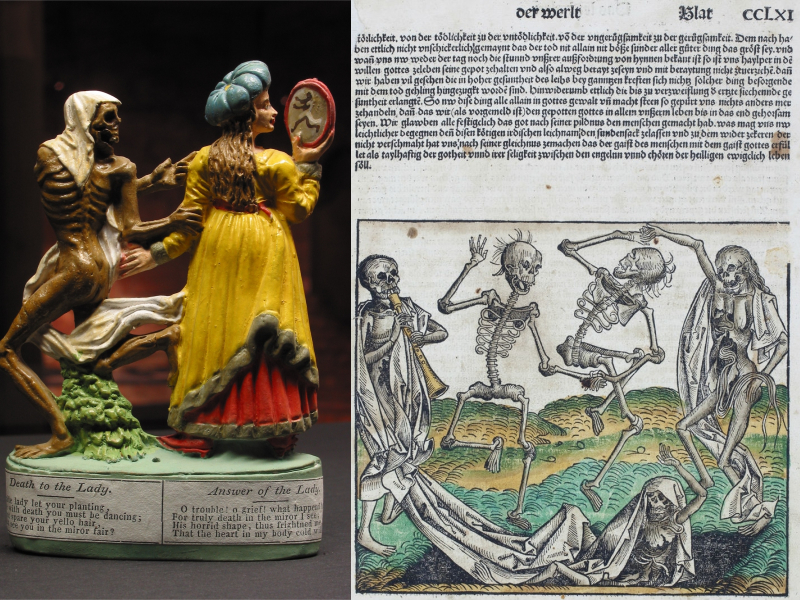 The porcelain ornament is based on an engraving from a famous 18th century book, Basel’s Dance of Death by Jacques-Antony Chovin. The wonderful manuscript on the right dates back to the 1400s. Basel in Switzerland has a long history of interest in funeral customs. In the 15th century, societies called Soul Guilds had a focus on funerals and the worship of saints. 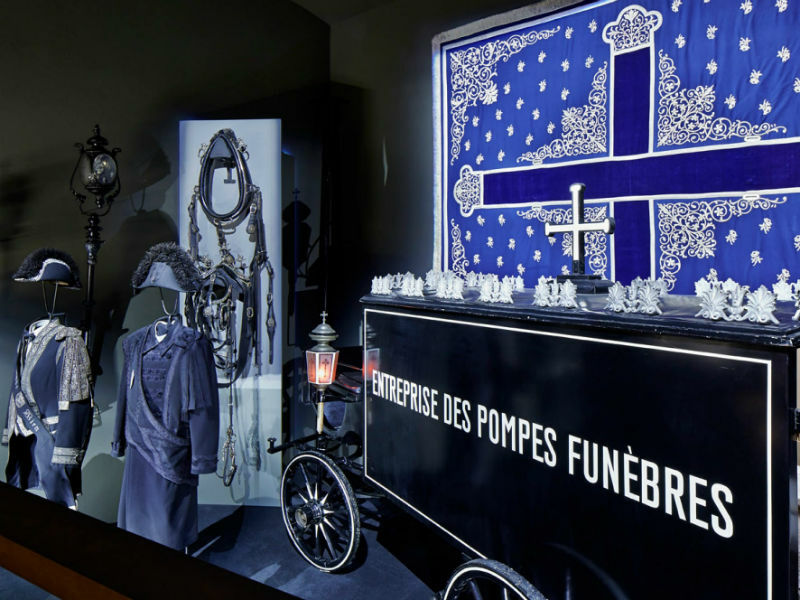 Death comes to everyone in the end, The Swiss Museum of Burial Culture reminds visitors, who can browse by themselves or book a friendly guided tour around the funeral-related exhibits which include caskets, horse-drawn hearses and grave markers. The funeral museum is located in the grounds of the biggest burial ground in the country, Hörnli cemetery. The most curious exhibit is a showcase of surgical implants reclaimed from Hörnli crematorium, which show how medical science has evolved over the past century. Across the UK and in Europe, many crematoria have adopted charitable recycling schemes with the blessing of families, reclaiming non-combustible materials such as titanium hip joints. 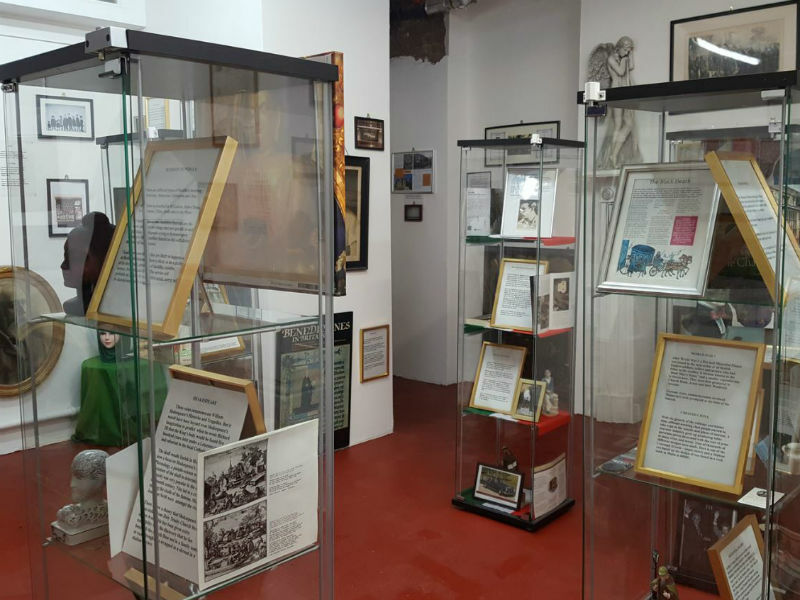 Located in the basement of the Thomas B Treacy Funeral Home in London’s Clerkenwell, this mini-museum provides lots of bite-sized funeral facts, from ancient Egyptian and Celtic funeral customs, to newspaper cuttings about remarkable funerals from more recent history. Funeral ephemera in the collection includes old photos and Victorian funeral home signs, with people from all walks of life who enjoy exploring London’s wealth of quirky museums including this attraction on their must-see list. Free to visit, it’s open every Wednesday and at other times when the funeral directors aren’t helping bereaved families. 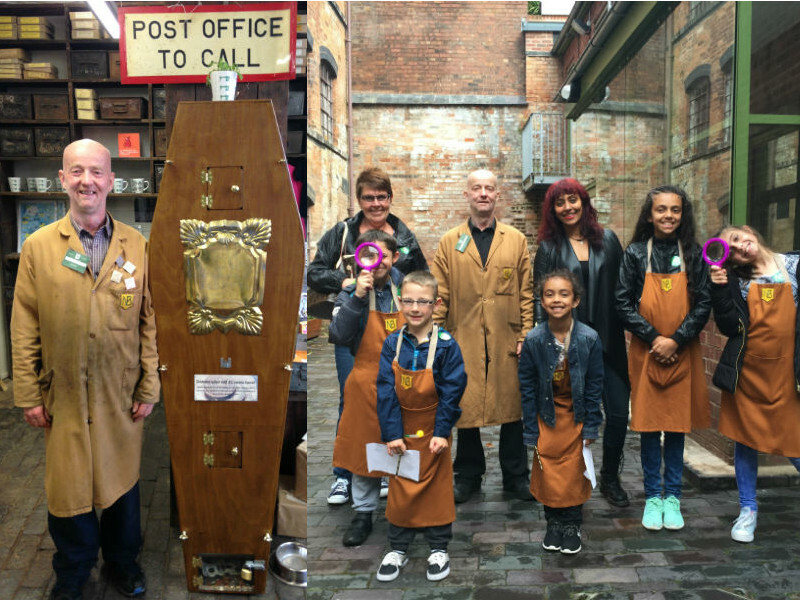 Put together by funeral director Kelvin Sanderson with the help of his colleagues, the aim is for people of all ages to enjoy the stories that this museum tells. Take a more detailed peek inside this funeral museum at IanVisits, a great visitor guide to more unusual sights to see in London, including garden cemeteries, catacombs and crypts. Funeral director John Herzig is a keen autograph collector, whose museum collection began with an unexpected piece of celebrity memorabilia. After buying an autographed photo of the late and legendary boxer Joe Louis online, it arrived with the programme from the sport star’s funeral ceremony. That was the beginning of what’s now a collection of over 2,000 celebrity funeral artefacts, photos and documents on display at the Famous Endings Museum, located at the Toland-Herzig Funeral Home in Dover, Ohio. The funerals of John F Kennedy, Princess Diana, Martin Luther King and Joan Crawford are among those featured in the collection, which costs nothing to visit and is open to members of public during the funeral home’s office hours. Open to visitors by appointment, this Arkansas funeral home’s private museum charts funeral history dating back to the 1800s. It includes hundreds of artefacts and shows a timeline of change in the American funeral’s evolution. Opening a funeral museum was the fulfilment of a long-held dream for funeral director Bill Simpson. Among the artefacts in his Chatham museum is a ice chest, or ‘cooling board’, dating back to the 1850s, which enabled people to view their loved one’s body in the days before embalming was widely practiced. The Simpson Funeral Museum has replicas of ‘celebrity’ caskets including those of Elvis, JFK and Marilyn Monroe. There’s also a replica late 19th century embalming room, with vintage cabinets, tools of the trade and bottles of solution. Large murals on the walls depict ancient funeral rituals, to the modern day, with this funeral museum free for anyone interested in the history of funeral service to visit. Lafferty Funeral Home was established by cabinet maker William Voris Lafferty in West Union, Ohio in 1848, who originally began by making caskets for local people. William’s great-grandson James (1912– 1987), collected artefacts – from hearses to funeral clothing and caskets – as the funeral home grew and traditions changed, which now forms the basis of the funeral home’s fascinating museum collection. A vintage hearse that featured in a Hollywood movie is among the collection of vintage hearses to view at the Mortuary Museum at People and Cawley’s funeral home in Marietta, Ohio. Visitors are asked to call ahead, to arrange a walk-through tour of the collection. With a history dating back to 1870, Herr & Sunset Hill Funeral Home’s collection of funeral memorabilia reflects a long-standing tradition of funeral service. Artefacts include an unused linen shroud, dating back around 100 years to the end of an era when burial wraps were included in the ‘bottom-drawer’ as couples prepared for a – hopefully– long married life together. Dating back to the 1800s is an ornate sarcophagus-style ‘Fisk’ casket, designed to be airtight and with a viewing window so that loved ones could look upon the face of their loved one. 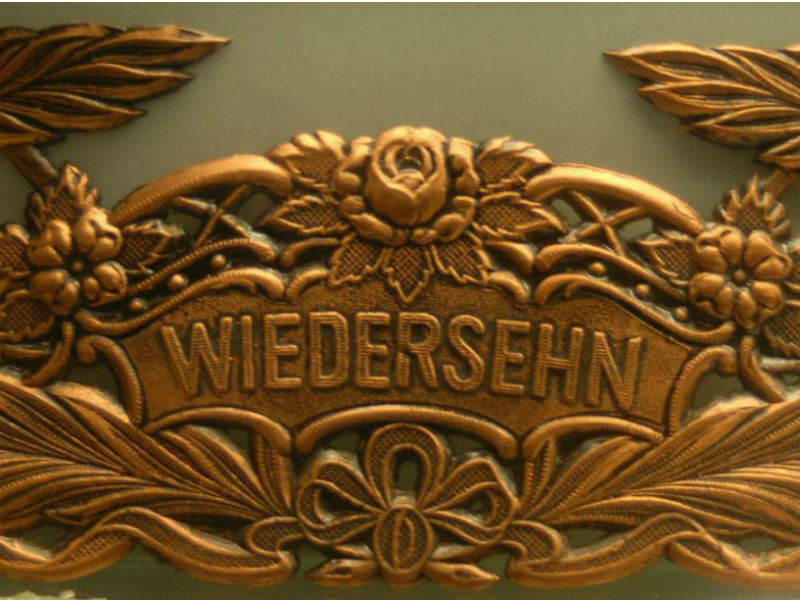 A fine collection of mourning jewellery and ribbons also date back to this Victorian era of high mourning, while an antique medical device called a Lebenswecker – designed to prod and prick people to determine that they were really dead – is among the most unusual exhibits to see at this Illinois funeral home museum. ‘Dark tourism’ is a term coined by the travel and leisure industry, reflecting how death can inspire people to see the world a different way. It is not as scary as it sounds – and in fact, is nothing new. In medieval times, virtually the only opportunity that people had to travel was on pilgrimage to holy shrines of saints, and to gaze upon - or even touch – their relics, from bones to teeth, blood and hair. There were even souvenirs to buy. In Victorian times, beautiful landscaped cemetery parks began springing up. In dirty, crowded cities they were open spaces filled with trees and plants, where families could walk, play and picnic in the fresh air, as well as admire the ornate funerary architecture and memorials. Today, many community groups have taken on the care of older cemeteries, opening them up as space for leisure, wildlife-watching and arts events, as well as grave-spotting and thinking about the many life-stories that the carvings on a stone slab have to tell.